7 Years ago I became a vegan. I did it cold turkey the moment I read a research paper that detailed the link between the food we ate and how it affected the way we behave, the way we think, and how we feel. There’s an old cliche that you literary are what you eat, but many don’t understand how deep that statement actually goes. The number of people being diagnosed with both anxiety and depression are continuing to sky rocket, and most of us aren’t taken into account the depression and anxiety experienced by the animals that we’re eating right before they’re slaughtered. If we take the statement literal, that we are what we eat, can it not also be said that if we eat depression and anxiety that we can experience depression and anxiety? If we all had to watch a video showing exactly how the food sitting still in our supermarket actually got there, most of us would choose another option. As I continued my research through the years I was led to plethora of information that was detailing exactly how the food we were eating, and it’s additives were turning the male dominant hormone Testosterone into the female dominant hormone Estrogen. Thus, it was affecting the way both men and women thought, behaved, and felt. We’ve all heard how irrational pregnant woman can behave when their bodies are producing the “pregnancy hormones”, but why haven’t we heard about how irrational all us can behave when the food we’re eating is literary altering and changing our hormones as well? It’s no surprise that we have gang of women complaining that “men aren’t men anymore” just as we have a gang of men complaining that “women aren’t women anymore”. The food the majority of us are eating and the water we’re drinking is literary reengineering our hormones every hour of every day. It’s reengineering the way we think, the way we feel, and the way we respond to every day life. We seem to think that our thoughts are us, but this isn’t true. The way we “feel” isn’t always genuine to who we are. Advertisers spending billions of dollars in research every year learning new ways to use visual stimuli to make us “feel” what they want us to feel so that we can buy their products. And they’re incredibly effective at this. The western worlds culture is consumption; we buy things we don’t need more than anyone else in the world. We even go so far as to go into debt, just so that we can buy things we don’t need. Are these truly our desires? Or are we being advertised to, and marketed to so effectively, that our subconscious is being supplanted with desires deep enough that they feel like they’re our own? The detergent you buy isn’t necessarily the one you like the most, it’s largely the one that’s been supplanted into your subconscious the most through advertisement. These companies aren’t spending billions of dollars on these things for no reason, they spend the money because they know it works. The videos games on your phone, Netflix, and your favorite commercials all understand this process. They use a continuum loop that keeps your interest. This loop makes it almost impossible to not enjoy it, and to just want to see the next episode. When we’re up all night binging, our bodies actually want to go to sleep, but our “feelings” tell us to keep on watching. 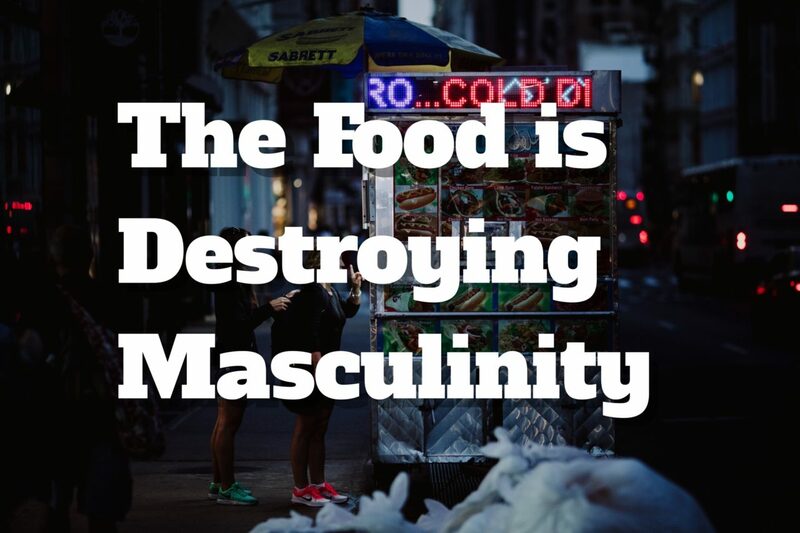 The food industry is having the most success at this, and I write this to reiterate that our feelings aren’t us. Nor should we listen to our feelings just because we feel them. Many people wouldn’t be able to enjoy freedom today if they listened to their anger at times when it was high just because they felt it. I believe this is the main reason societies were always given a moral compass in literature form. Whether that be the bible, the Koran, the 42 laws of MA’AT etc. Man always had the option to ask himself, “is what I FEEL like doing in alignment with this “divine” scripture?” If the answer was no, man would have to be strong enough to be better than how he felt. If the answer is yes, man was free to indulge. If all man ever did was go off of the way that he felt, society would be in complete chaos. Feel like stealing? Steal. Feeling like running the red light? Run it. Laws have always been in place and will always need to be in place to help society be better than just the way they feel. So i’m writing this, because I intend to tell you a few ways that this is directly being done through the food. Lets start with Atrazine. Now are we to say that a chemical that literary converts Male frogs into Female frogs, and causes the male frogs to begin engaging in sexual activity with other male frogs has no effect on us? This is a chemical that we use 80 million pounds of a year here in the USA. A chemical banned in over 75 countries. Its in all of your water, and in the majority of you non-organic food. Heres his video below if you would like more info, but lets move on. Soy infant formula puts your baby’s health at risk. Nearly 20 percent of U.S. infants are now fed soy formula, but the estrogens in soy can irreversibly harm your baby’s sexual development and reproductive health. Infants fed soy formula take in an estimated five birth control pills’ worth of estrogen every day. Infants fed soy formula also have up to 20,000 times the amount of estrogen in circulation as those fed other formulas! Let the alone the direct links between soy and Brain Damage and Breast Cancer. The consumption of Soy literary triggers the Aromatase Enzymes in the body to begin converting the male dominate hormone Testosterone into the female dominate hormone Estrogen. And as I already stated, a persons chemical and hormonal make up will affect their behavior. Just look at commercials for many pharmaceuticals that state that “ If you begin developing thoughts of suicide, stop taking immediately and contact your doctor”. In other words ” This medication can change your thoughts.” And had it not been for that fore warning, most would think those thoughts were genuine. What other thoughts are produced from many of the chemical laced GMO foods we eat everyday that no one is talking about? Give a child processed sugar and chemically laced candy and watch their behavior immediately become affected. I’ve seen parents feed their children candy and then punish them for being overly hyper and not being able to sit down or be still. How backwards is that? Here a few more chemicals with links to further research that we all consume daily that are literary turning male testosterone into estrogen, and female estrogen into testosterone. BPA Plastic(Bisphenol A) – Anything you Consume that comes in plastic has BPA. BPA is an endocrine disruptor that mimics the effects of estrogen and interferes will all hormone levels, cell signaling systems, and genetic messages. 6 billion pounds of this is used a year. Fluoride – Fluoride is found heavily in all of our tap water, tooth paste, salts, and almost 90% of our bottled water as well. Tooth Paste states that if you swallow a piece sized amount of fluoride you should call a doctor, yet we put it into our mouths to brush our teeth with it. Almost as if the mouth doesn’t absorb what we put into it through the walls of our skin into our blood stream. Ingesting fluoride does create hormone dysfunction, low testosterone, cardiovascular diseases, and cancer. Dioxin – Dioxins are a toxic byproduct of various industrial processes that are ingested in the fat of meats and dairy products. All of our conventional meat products and dairy products contain this chemical Dioxin, that decreases the sperm count, lowers testosterone levels, and raises estrogen levels in the body. Lead, Mercury, Phthalates, Perchlorate, PFCs, Arsenic, and Glycol ethers are just a few more chemicals that we are willingly putting into our bodies each and every day that are literary reengineering our hormones – altering the way that we behave and think. I would advise anyone reading to do further research on these chemicals. Everyone has different levels of immunity, therefore some are much more susceptible to the effects of these chemicals than others, but we ALL are affected by them one way or another. Which only leads me to finally ask.. What effect do you think these chemicals have on a developing fetus still growing in its mothers womb that has yet to fully develop its immune and endocrine systems? If a mother pregnant with a male child is consuming chemicals that are directly converting his testosterone into estrogen every single day that he is in the womb, what effect does this then have on the male child that is born? That’s a conversation that our society of today is probably too sensitive to have, but it’s something I want the readers to think about. In closing, I don’t care if you’re a man or a woman we should all be protecting ourselves from things that chemically alter our minds and bodies. I’m not saying go vegetarian or vegan, I’m just saying that we should care about what we’re eating. If you’re going to eat meat, make sure you get it free ranged; free of the antibiotics and the hormones these animals are being pumped with that allow them survive in conditions unfit for anything to live in. Read your “ingredients” labels on everything you buy. If you can’t pronounce it, or if you don’t know what it is without doing a google search don’t eat it. Filter your water as well. All of these additives that you can’t pronounce or that you don’t know without a google search will alter thought, feeling, and behavior in some way. I’ve noticed dramatic changes in both myself an many of my friends that applied this information. Before this journey I remember times when I would get “sad” at random – a random wave of depression if you will. Come to find out it wasn’t random at all; I just wasn’t as hormonally balanced as I am now. Nowadays I couldn’t tell you the last time I wasn’t happy. I’ve been emotionally consistent ever since I fully detoxed myself of the build up of these listed chemicals. This is something we all can do. With the rise of the mental health conversations today we need to do more talking about the way the food we’re eating is directly affecting our mental health. The body, mind, and the spirit are all connected. The things that affect our bodies affect our minds, the things that affect our minds affect our spirits. There is no “spirituality” without physical health. Protect yourself.